On June 1, the Ministry of External Affairs announced that PM Modi would visit Israel. Daniel Carmon, Israel’s ambassador to India says this visit will be a message to the world of the strong friendship between the countries. On July 3, Daniel Carmon, Israel’s Ambassador to India, tweeted his appreciation for the Indian government after New Delhi abstained in a vote on the UNHRC resolution condemning Israel’s role in the Gaza war last year. India was among five nations that abstained in the vote. Forty-one of the council’s 47 members voted in favour of the resolution. 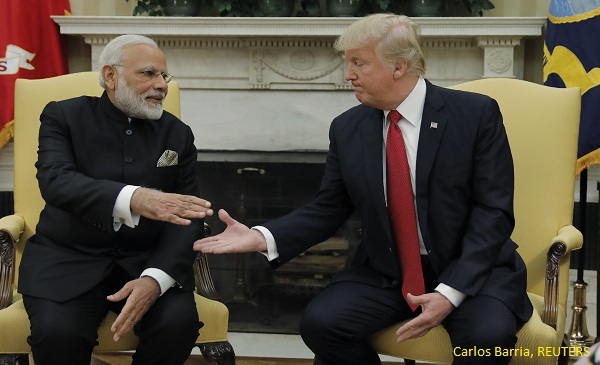 India’s abstention is seen as a marked shift in the country’s foreign policy and another signal hat the ties between the two nations is on the fast track. This follows the announcement made by the Minister for External Affairs Sushma Swaraj in June 2015, stating that Prime Minister Narendra Modi would visit Israel in the near future. While, no dates have been fixed for Modi’s visit, this visit will be a historic one. No Indian Prime Minister has visited Israel since 1992 when diplomatic ties were established. Ambassador Daniel Carmon spoke to Boom on the various facets of the bilateral relationship between the two countries, including the Palestinian cause, high level defence agreements, cooperation in agricultural technology, and the changing security scenarios for both countries. Q. In your opinion, has an Indian Prime Minister’s visit to Israel been long overdue? I have to say that we are very glad and very excited about the prospects of the visit of PM Modi to our country. Date is yet to be defined through the diplomatic channels, we are very excited about the landmark visit. I think it is symbolic but much more than symbolic as it would be a very strong message by the Prime Ministers of Israel and India about the long standing, growing and better(ing) relations between both countries. It is a strong message to the world about friendship the between Israel and India. Q. How does Israel plan to address the concerns of India over its policies toward Palestine? The bilateral relations between Israel and India are a plate full of issues from direct bi-lateral issues to issues that really concern both parties in other regions and in their own regions. I can tell you in the discussion, in the frank and friendly discussion that we have with our friends in the Indian Govt, everything is on table. I have been here for a year and has had intensive contact with Indian Govt, there are many more areas in which we agree, many more areas in which the joint values, the joint interest and there are joint challenges-especially terrorism. If we have something to say to Indian Govt, we tell them , if they have something to tell us, they tell us in a very frank, open and friendly manner and this is what the friendship is all about. A year ago, the Indian govt through its various leaders including the Minister of External Affairs has stated in parliament that the foreign policy of India has two tracks that don’t touch one another but are a continuum—the commitment to the Palestinian cause, on one hand and good relations with Israel on the other. I think it’s a very important, simple so to speak but important way of describing the relations—one does not interfere with the other. India can have good relations with one side and with the other and this is not a zero sum game. Q. How far will the make in India and “Digital India”initiatives help strengthen India-Israeli relations? We’ve been following both in Israel and in India, the leadershisp that the Mr. Modi has been portraying since he took charge of his (amongst others) the Make in India programme and the Digital India programme that was launched. We have definitely take into consideration both these initiatives, acknowledged the shift in the Indian policy and how does Israel integrate into these. As you know India and Israel had a very strong relations for many many years , including in the field of defence. Our Defence Minister who visited India a few months ago, did talk with his Indian counterparts on all levels, about how does Israel blend into the make in India. Q. To what extent can the India-Israel Agricultural Co-operation Project help the agricultural sector in India? We are very proud of Israel’s achievements in many fields including agriculture. We been for many years what I call a development laboratory. We have shared our technology with India and we have been building together, ­­as a symbol of cooperation centres of excellence. We are now ending the second phase of this cooperation programme, in which 30 centres of excellence in 9 states have been built, many of them already operative, many of them baring fruit so to speak. Indian government are doing great things in the area of produce and productivity, sharing Isreali technology in water management, in horticulture, in bettering the value chain, from the field to the customer and yes I think, we are definitely contributing in this cooperation. It is a great partnership on the crucial issue of food security. I support the attitude of any govt specially the Indian govt that is fighting terrorism. We have a joint interest and similar values as democracies but we also have joint challenge of fighting terrorism. Israel and India have both been victims of terrorism. In the world where the obligation of governments are first and foremost to safeguard the territorial integrity as well as the safety of the citizens there are measures that should be sometimes taken. Today it’s a very complex, very new kind of the battle ground and the battle ground is defined as asymmetrical warfare. It’s complicated, it has to be tackled and India is showing that it is doing exactly what should be done, by a country that fights terrorism. Q. With the rise of the Islamic State in your neighbourhood, has the Israel government’s security concerns changed? I would look at the challenge on a larger scale. It’s not only ISIS but there are other sources including states that are sponsoring terrorism namely Iran. Hamas is very near our border and has has shown for many years that there is no limits to the way and the methods in the way it fights. As our Indian friends are saying , terror is terror there is no good terror there is no bad terror , but unfortunately there is terror we should all fight terrorism wherever we can find it.